This page represents a “living document” that details the last 6 years of the Florida Alimony Reform Movement. Ayo & Iken is committed to documenting this effort until it becomes reality. The end of another legislative session also marks the death of two Bills that could have changed the way courts award alimony in Florida. Republican Sen. Gayle Harrell filed SB 1596 on March 1st, hoping to create a fair and balanced approach at determining how much and how long alimony should be awarded to recipients. HB 1325 was filed by Republican Rep. Brad Drake, echoing alimony reform efforts and addressing equal time-sharing for minor children. During a phone interview with Sen. Harrell on Friday, she says time expired on bringing the Bill to a vote before the end of the 2019 session. The Bill was being reviewed by three committees; Judiciary, Children, Families, and Elder Affairs, and Rules, prior to its demise. Harrell says, “It’s essentially dead… We will be meeting and listening to people over the summer and crafting a new Bill that is fair for all parties.” Harrell will introduce her Bill in the fall without language that addresses child support or custody issues. We were unable to reach Rep. Drake for comment. The alimony bill failed to advance during the legislative process. That effectively kills the alimony reform bill for 2019. We will publish more information as it becomes available. Two alimony reform bills moved forward during the first week of the Florida legislative session, with one referred to several Senate committees today. SB 1596, filed by Gayle Harrell, R-Stuart, has been referred to three committees for debate: the Judiciary; Children, Families, and Elder Affairs; and Rules. Meanwhile its sister bill, HB 1325, filed by House Rep. Brad Drake, R-DeFuniak Springs, received a first reading this week in the House. The bills would bring major changes to the law including doing away with permanent alimony, setting a duration cap, offer retroactivity to past cases, and allow for retirement. Under the proposed legislation, marriages would fall into three categories: long term which is 20 years or more; mid-term which is more than 11 years but less than 20; and short-term which is less than 11 years. The bills also include a mandate that the courts presume equal time-sharing is in the best interest of the child. If passed, the bills would take effect July 1. We will keep you posted on both bills this legislative session. An alimony reform bill has been filed in the Florida House of Representatives this week on the heels of a sister bill filed in the Senate last week bringing forward proposed reforms in both chambers as the legislative session kicked off Tuesday. House Rep. Brad Drake, R-DeFuniak Springs, has filed HB 1325, which would bring about sweeping changes to alimony laws in Florida. Gayle Harrell, R-Stuart, filed its sister bill, SB 1596. The bills would bring major changes to the law including doing away with permanent alimony, setting a duration cap, offer retroactivity in some past alimony cases, and allowing for retirement. Under the proposed legislation, marriages would fall into three categories: long term which is 20 years or more; mid-term which is more than 11 years but less than 20; and short-term which is less than 11 years. The bills are not only likely to spark a debate over alimony, but it appears child custody will again be lumped into discussions. Both bills also contain language that the courts presume that equal time-sharing is in the best interest of the child. During past legislative sessions, the 50/50 presumption drew critics and it became the reason Gov. Rick Scott cited for his veto of an alimony reform bill in 2016. Scott has since left office and Gov. Ron DeSantis won in November. If the bills pass, new laws would take effect July 1. We will keep you posted on the alimony reform debate this legislative session. A new alimony bill has been filed. We will post a detailed analysis and other useful information. A bill filed by Florida Sen. Gayle Harrell Friday would bring about sweeping changes to alimony laws rekindling a legislative debate that for years has sparked controversy. Harrell, R-Stuart, filed SB 1596, which at 28-pages would change the face of alimony in Florida. If the past is any indication, there will be heated debate over the proposed legislation which would do away with permanent alimony, set a duration cap, be retroactive to past alimony cases, allow for retirement, consider adultery in determining alimony, and prevent the assets and income of a payor’s new spouse from being considered when calculating alimony. If approved, it would take effect July 1. Another twist in the bill is the inclusion of a sentence that would mandate the courts give presumption of equal time-sharing for both parents in a divorce – a provision that has been lumped in with alimony reform bills in the past, some believing to their detriment. The proposed bill provides marriages fall into three categories: long term which is 20 years or more; mid-term which is more than 11 years but less than 20; and short-term which is less than 11 years. One major reform in the bill would be to do away with permanent alimony and mandate the courts “shall prioritize an award of bridge-the-gap alimony, followed by rehabilitative alimony, over any other form of alimony.” The bill would also order the courts to make written findings for the basis for awarding a combination of forms of alimony, including the type and length of alimony. The proposed bill also addresses adultery saying the court “may consider the adultery of either party and the circumstances thereof in determining the amount of alimony, if any, to be awarded.” If the new bill passes, the burden of proof would also be placed on the person seeking alimony. A big change in the bill would also be taking away the “standard of living established during the marriage” as a criteria in considering alimony. It promises to be a busy legislative season with one major change to the landscape being the departure of former Gov. Rick Scott, who vetoed two alimony reform bills during his time as governor. Meanwhile, during his campaign, Gov. Ron DeSantis told members of the Florida Family Law Reform Political Action Committee that he would be open to alimony reform. We will keep you posted on all things alimony reform this legislative session. Years of frustration is not stopping a group from launching a renewed fight for alimony reform in Florida this legislative session. Dozens of alimony payors and reform activists met for a statewide conference held by the Florida Family Law Reform Political Action Committee in Kissimmee on Feb. 2 to discuss a new bill they hope to see filed in 2019. PAC members from across the state came to show support with participants from South Florida to Pensacola in attendance. Currently, the search is on to find sponsors in the Florida House and Senate of a bill drafted by the committee that would bring about major changes to alimony laws in Florida. PAC officials urged the crowd to contact their elected officials and encourage them to support alimony reform. “We have been through a six-year journey to try to reform the archaic alimony laws in Florida. We are working hard to keep alimony in place, but eliminate the abusive parts of the law – especially permanent alimony,” said PAC Chairman Michael McAuliffe. Elimination of permanent alimony is one of many provisions in the law proponents of reform have been seeking to change for years. Past bills have also included set guidelines for judges to follow based on a marriage’s duration. That effort has been wrought with frustration as bills in 2013 and 2016 easily passed both chambers of the legislature, only to be vetoed by Gov. Rick Scott. In between those vetoes, a bill in 2015 that appeared to be sailing through the legislature died amid a fight between House and Senate leaders over healthcare that halted proceedings mid-session. The PAC then decided in 2018 that with Scott in office, pushing legislation would be futile – so the decision was made not to push for a bill. The PAC then scored what they viewed as a victory during the mid-term elections with Scott leaving due to the term limits, and Republican Ron DeSantis winning his seat. During his campaign, DeSantis expressed he would be open to alimony reform if elected, PAC officials said. A new governor in office has brought optimism to the group this year. “Today as we sit here in our meeting, I feel very optimistic. Especially since voters elected Gov. DeSantis who we understand is someone who will take our plight seriously,” said PAC Executive Committee Member Michel Bühler. The PAC has also made strides toward combatting what they say is a perception that their hopes for alimony reform would hurt women. On the contrary, officials said the group is seeking to empower women who are an ever-growing percentage of the working population and are paying alimony now more than ever, officials said. “There is no reason for lifetime alimony. Alimony, sure, but limited – not for the rest of their lives,” PAC Public Relations Chair Debbie Leff-Kelapire said. The group is also looking to simplify provisions of its 2019 bill from bills in the past which had more convoluted proposed guidelines, PAC General Counsel Attorney Alan Elkins said. The new proposed bill makes it simple that an alimony term should generally be limited to 50 percent of the length of the marriage, according to Elkins. “Keep it simple. That is what we need to do,” he said. As usual, we will keep you posted on all things alimony reform during the legislative session. Meanwhile, below are some major components of the proposed 2019 bill which the PAC presented at its conference. Alimony terms are generally limited to 50 percent of the length of the marriage. Alimony payors will be allowed to retire at normal retirement age and end their alimony obligation. Annual income considered for determining alimony obligations is capped and indexed for inflation at $300,000 at the time of the award. Alimony obligation limited to 30 percent of income differential between parties. Divorce attorney legal fees are capped at 8 percent of the combined net worth of the parties with the flexibility for the attorneys to petition the court for a variance in unusual cases. Payor’s obligation is reduced by any government assistance received by the alimony recipient such as social security, retirement, or disability. Social security benefits will be exempt from garnishment for alimony obligators. Second spouse’s income or assets will be exempt from claims unless fraud is proven. Cohabitation by an alimony recipient will constitute a supportive relationship which will allow the payor to terminate their obligation. A schedule will be in place to allow existing alimony payors the opportunity to modify their obligations in an orderly manner. Payors will be excluded from being required to pay life insurance premiums to secure payments to the recipient since the recipient has the insurable interest in the alimony payor. With many expecting a new debate to emerge in 2019 in the Florida legislature over alimony reform, candidates on both sides of the controversial issue won and lost primaries Tuesday, while the Republican Party’s primary winner for governor had the endorsement of an influential pro-reform movement in the state. U.S. Rep. Ron DeSantis, R-Palm Coast, shocked many by taking out longtime Florida politician and Commissioner of Agriculture Adam Putnam easily winning with 56 percent of the vote to Putnam’s 34 percent. Numerous pundits have touted an endorsement from President Donald Trump as putting DeSantis over the edge. DeSantis may already have a block of voters in his pocket for the general election as he faces off against Tallahassee Mayor Andrew Gillum, who won a victory that is being viewed as an upset over Gwen Graham in the Democratic primary. The Florida Family Law Political Action Committee, which is pushing for new alimony reform legislation to be filed in 2019, endorsed DeSantis in his run against Putnam after he told the group he is “open to reform”, according to the PAC’s spokeswoman Debbie Leff-Kelapire. The winner of the governor’s mansion could be a major factor in whether alimony reform happens next year. For the first time in years, no alimony reform bill made it to committee in 2017, with many speculating such an effort futile with Gov. Rick Scott in office. Scott, who vetoed two alimony reform bills during his eight years in office, is facing term limits amid a run for U.S. Senate. Meanwhile, if a bill is even going to make it to the governor’s desk in 2019, it is going to take a renewed effort in the Florida House and Senate, which many are expecting. After Tuesday’s primary results for House and Senate seats, the upcoming November general election will hold several players already immersed in the alimony reform debate. A candidate who expressed his support for alimony reform during a Florida Family Law PAC meeting last year easily won Tuesday. Former Florida House Rep. Ed Hooper, R-Clearwater, resoundingly won the Republican primary for Senate District 16, which covers parts of Pinellas and Pasco counties. He won 79 percent of the vote over opponent Leo Karruli. Hooper will take on Amanda Murphy, D-New Port Richey, also a former Florida House member, in the general election. Meanwhile, one of the Florida Family Reform PAC’s founders, Terry Power, lost in his bid for the House District 64 Republican primary, with incumbent James Grant, R-Tampa, winning 64 percent of the vote for the seat, which oversees parts of Hillsborough and Pinellas counties. Grant will face Jessica Harrington, a Hillsborough teacher who won the Democratic primary unopposed. A landslide victory in the Democratic primary for Senate District 22, which covers parts of Polk and Lake counties, sets up a contest in the general election between two longtime players in the alimony reform debate. Robert Doyel, a retired circuit court judge from Winter Haven, won a convincing win over his opponent Ricardo Rangel garnering 66 percent of the vote. It sets up a race pitting Doyel against incumbent Kelli Stargel, who has sponsored several alimony reform bills over the years. Doyel has long publicly voiced opposition to alimony reform bills. Many pundits expect the race to be neck and neck as Stargel, R-Lakeland, looks to hold onto a seat historically held by Republicans. As always, we will be following all things alimony reform so stay tuned. A landmark day for family law came in Virginia Friday as Gov. Ralph Northam approved a bill that will mandate the courts give great weight to awarding joint child custody to both parents in divorces a little more than two years after Florida Gov. Rick Scott vetoed a bill with a similar premise. The bill drew strong support from the National Parents Organization who issued a March press release urging Northam to sign it. One of those states that has kicked around reforming custody laws is Florida – where most recently in 2016 a bill with a 50/50 child time-sharing provision that would have mandated the courts presume that equal time-sharing between parents is in the best interest of the child fell to Gov. Scott’s Veto pen. Florida’s SB 668, which held the 50/50 time-sharing provision, had a murkier road to the governor’s desk than Virginia, as lawmakers tied it to a larger bill that sought to also bring alimony reform to the state. For several years, the Florida legislature has been working toward setting guidelines for judges to implement alimony in divorces cases, an effort that has found success in the House and Senate, but failed to find favor with Scott. The veto in 2016 led to legislators filing an alimony reform bill in 2017 that did not address child-time sharing issues, but it later died in committee without a vote with many alimony reformers believing it futile to pursue a bill they thought Scott would eventually veto no matter the content. Since then there has been no legislation filed regarding 50/50 child time-sharing or alimony reform, while Scott is leaving the governor’s office due to term limits and is engaged in running for U.S. Senate against Sen. Bill Nelson. It remains to be seen if family law issues are addressed on the campaign trail for governor. The alimony reform movement already received a blow from the fall from grace of one advocate – former candidate for governor Sen. Jack Latvala – who pulled out of the race earlier this year amid a sexual harassment scandal. Family law issues have, however, been at the forefront of some political campaigns thus far, with Florida House District 64 candidate Terry Power making family law reform a focal point of his campaign. One group, Florida Family Law Reform Political Action Committee – which Power used to chair before running for office – has also vowed to advocate for filing alimony reform legislation once Scott has left office. We will keep you posted on any family law developments. January 17, 2018 – Stay tuned for coverage of this year’s legislative session and coverage of efforts towards alimony reform. Efforts to reform alimony laws in Florida has proved to be a political football that many proponents of change view as a draining, necessary, yet so far a fruitless fight. Scrutiny, debate, political infighting, and public activism by both proponents and opponents of proposed alimony reform legislation has been intense for more than a decade, but when the dust settled through several legislative sessions, change that appeared on the horizon felt short due to opposition from Gov. Rick Scott. Scott’s stance on alimony reform has been met with disgust among activists and lobbyists pushing for change and applauded by those seeking the status quo. It has also led to a movement that will likely forgo the time and effort it takes to get a bill through the legislature during this year’s session as many look to wait out Scott who will be leaving office in 2019 due to terms limits. The years of battle in Florida are not surprising to veterans of similar reform movements in other states and are a drop in the bucket historically as alimony as a legal premise is as ancient and thorny issue as divorce itself as disputes over money and assets will always be one of the cornerstones of sorting out separations. Historians point to the 18th Century B.C. as the first time the concept of alimony is mentioned as a legal standard to be abided. Babylonian king Hammurabai unleashed his Code of Hammurabai, a collection of 282 rules issued to govern and provide punishments for supposed wrongdoers in ancient society. They are an often violent collection of edicts that outline brutal punishments for theft, adultery, and other misdeeds. Alimony became a continued standard as centuries progressed within English ecclesiastical courts, a tribunal of religious authorities that settled spiritual matter that also extended to marriage. Those courts outlawed divorce but allowed separation under which in certain cases a husband was ordered to financially support his wife. Eventually, the English parliament took over matters of divorce, a pattern that established itself in colonial North America until the creation of the United States and the judiciary. In Florida, the evolution of alimony law is murky with its foundation rooted in English Common Law, a set of rules dating back thousands of the years, some of which remain on the books today, according to the Florida Supreme Court. In 1949, Miami Law Quarterly published a piece written by James Milton Carson which states that following the Civil War during Reconstruction the Florida passed the Laws of 1875 which dealt with garnishment issues including the timely paying of alimony by public officials. Of the law, Carson wrote: “The courts have several times held that the purpose of the enactment was to preserve to the unfortunate citizen and his family certain things necessary which enable him to earn his livelihood.” Currently, alimony is governed in Florida by statute 61.08. Nationwide, family courts in states began taking precedent over divorce issues in the 1950s, giving rise to the specialization of family law. The history of alimony cannot be addressed without first discussing one of the major movements spurred in those courts, the concept of a “no-fault” divorce. The movement toward no-fault divorces emerged as a way for the courts to deal with divorces without establishing whether the husband or wife caused dissolution and thus punishing one or the other that caused the separation; for example proving adultery occurred. California became the first state to enact a no-fault divorce law, the Family Act of 1969, signed by then governor and future President Ronald Reagan. It bucked the norm nationwide where states mandated that one side be proved at fault. After the law passed in California, an avalanche occurred of states enacting similar laws, with Florida passing the Dissolution of Marriage Act in 1971 making it a no-fault state. Very little changed nationally when it came to alimony laws in the ensuing three decades of no-faults divorces that swept the nation, as mostly men continued to pay alimony to their ex-wives, sometimes permanently ordered to do so by the court. The turn of the century brought change as societal norms shifted away from single-income homes to both husbands and wives working. By the mid-2000s grassroots movements began to gain traction nationally of alimony payers speaking out against court judgments draining their bank accounts with no end in sight. Efforts at changing laws were met with opposition from those concerned that mostly women would be harmed if they did not received alimony as many had given up careers to raise families. One of the most significant figures in the alimony reform movement who would emerge is Steve Hitner, a Massachusetts alimony payer who by the mid-2000s paid his ex-wife $45,000-a-year. It led Hitner, who eventually had to file for bankruptcy, to engage in a mission to overhaul laws in that state. He launched a group and website in 2006 dubbed Massachusetts Alimony Reform and began a campaign in the media and with legislators that would end in landmark changes to laws there, including mostly doing away with the awarding of permanent alimony. Similar groups around that time popped up, including in New Jersey, where alimony payer Thomas Leustek forms another grassroots group, New Jersey Alimony Reform – a movement that would also net reform. Floridians watched and efforts began there too. But as Hitner attests, and as it has turned out in Florida, changing alimony laws is no easy or quick task when there is much opposition from powerful lobbyists and people’s financial livelihoods are at stake. It takes groundwork that is grueling and often hinges on the ability to generate media coverage that grabs the attention of lawmakers. Hitner started by collected alimony payers’ “horror stories” online and talking to reporters. “That’s what I kept doing until we developed a critical mass,” he said. By 2009, Hitner found himself the only non-lawyer on an Alimony Reform Task Force appointed by the Massachusetts judiciary to explore changes that could be made to alimony laws in the state. It would still be another two years before Massachusetts passed sweeping alimony changes, including greatly diminishing the ordering of permanent alimony. It proved to be a lengthy battle for Hitner from which emerged a political philosophy he continues to share with others seeking change nationally; one of staying positive in climates that can lead to negativity which can derail progress. He now runs U.S. Divorce Mediation & Consulting, a firm dedicated to helping others avoid the divorce pitfalls like the ones he faced. It is around this time that the battle over alimony reform in Florida began in a state as we discussed where some laws date back to English Common Law. Efforts so far have been successful on many fronts but ultimately have failed to bring change to the law. While Hitner achieved success, a group in Florida eventually named Family Law Reform emerged and quickly became one of the largest advocacy groups in the United States. Permanent alimony payer and Brevard County financial advisor Alan Frisher would become the leader of the group which saw its membership swell into the thousands and began gathering steam in the media and with political leaders. Others would also gain notoriety such as Deborah Leff-Kelapaire, who would co-found a group called the Second Wives Club after she found herself unwilling to marry her longtime fiancée because her salary would re-calculate his alimony. She continues to be active in the alimony reform movement, which I will discuss later. By 2012, lobbying and media attention led to a sponsor in the Senate, who would introduce a bill during the 2013 legislative session that would kick-off a political battle continuing today during which sides were drawn and protestors for and against eventually brought protests to the state capitol. As the legislature geared up for the spring 2013 session, alimony reform would get its first hearing by lawmakers with the filing of Senate Bill 718 by Sen. Kelli Stargel, R-Lakeland, who had just been elected to the Senate in 2012 after serving in the Florida House for four years. It was groundbreaking proposed legislation outlining sweeping reform that would establish specific guidelines judges would have to stick to in calculating alimony based on the length of a marriage and how much income the parties made. It also all but did away with permanent alimony and made the legislation retroactive to prior divorce settlements. The bill proved to be a lightning rod that brought opposition from the Family Law Section of the Florida Bar and numerous women’s groups including the National Organization for Women and a grassroots group called the First Wives Club. The political bombshell would not only play out in the legislature but in the media as the bill made a strong move through both Florida chambers. A cottage industry of pundits, guest columnists, and reporting on the bill’s progress would emerge. Basically, the two sides arguments boiled down to supporters pointing to nightmare stories of going broke paying alimony in a world where more women work and can support themselves following a divorce. Opponents became vocal that the bill would hurt women who have sacrificed their careers to take care of the home and children, and would have a difficult, if not impossible, time finding work. Intense debate, however, gave way to what appeared to be a stunningly swift victory for alimony reform as opponents of the bill lost out, at least with legislators. It overwhelmingly passed in the Senate with a 29-11 vote; and in the House by an 81-35 votes. The celebration was on for the alimony reform movement. All they needed: Gov. Rick Scott’s signature and swift change would come far short of the near-decade of struggle the likes of Hitner endured. It didn’t happen. Scott vetoed the bill on May 1, 2013, citing the clause making the bill retroactive to past divorces in the state as the reason. It proved to be a bitter moment for the alimony reform movement; a shock that proved to be one of many disappointments that would ensue in the years to come. The failure came with irony as another high-profile governor, Chris Christie of New Jersey, would go the opposite route by signing a bill in September 2014 that did away with the presumption of permanent alimony in that state. Meanwhile, that same year inaction would stall the alimony reform movement in Florida as Scott ran for and won re-election. Next step: file a new bill in 2015; this one without the retroactive mandate. That would take care of Scott’s opposition. Or would it? The 2015 legislative session will go down as one of the strangest in Florida history, and alimony reform efforts took a hit for it. This time around two members of the Florida House – Rep. Colleen Burton, R-Lakeland, and then Rep. Rich Workman, R-Melbourne – filed House Bill 943, with Stargel again filing a sister bill in the Senate, SB 1248. Both had similar language to the bill in 2013 with the exception of retroactivity. Once again the bill began to sail through committees in both chambers, but also picked up baggage that would lead to infighting among Republicans even after the session abruptly halted over a healthcare dispute. As the possible expansion of Medicaid took center stage during the session, alimony reform seemed to be flying under the radar. This time around with retroactivity stripped from the bill and other negotiations for compromise, the Florida Bar declared support for the House bill. But an underbelly of discontent emerged as another senator, Tom Lee, R-Brandon, looked to add onto the bill a provision that would deal with child time-sharing. Lee’s successful push to add-on the presumption of 50/50 time-sharing of children by the courts in separations drew public criticism from some women’s and children’s advocacy groups and the Florida Bar. Many supporters of alimony reform also wanted to shy away from conflating alimony and child custody issues. But on the surface it did not seem to be impeding the bills’ progress in either chamber, as they both sailed through committees. Then the meltdown happened. The House called the session a wrap three days early over the healthcare flap before legislators even reached a budget. The abrupt ending killed numerous bills before they received a vote, including both alimony bills. At that point, the acrimony over Lee’s adding of the 50/50 clause came flooding out from the one of the bill’s sponsors in the House, shedding light on a battle over an issue that would haunt the alimony reform movement down the road. Even though the alimony reform bills died before reaching Scott’s death, the governor would again be forced to take up the issue and would get all the drama he could handle. The 2016 legislative session proved to be the most explosive yet as another effort renewed to pass an alimony reform bill. Once again, Sen. Stargel and Rep. Burton led the way filing SB 668 HB 455 respectively, which both contained similar alimony reform language as in the past. Lee also filed a separate bill, SB 250, which dealt with his desired legislation creating a 50/50 child time-sharing presumption in the courts. It appeared alimony reform would move forward separate from the child-time sharing issue revealed to be so toxic during the 2015 aborted session. But that proved not to be the case. Instead of SB 250 moving forward on its own, it was again tacked onto Stargel’s bill in a push by Lee. Once again, numerous women’s organizations came out against the Senate bill. The Florida Bar also admonished the 50/50 part of the bill which prior to that addition the organization supported. It still eventually won out and passed both chambers easily amid intense rhetoric from opposition. “Many, many times the sponsors and supporters of this bill say that it will give certainty to the law. It certainly will. It will certainly throw thousands of women and their children into poverty,” Florida National Organization for Women Lobbyist Barbara DeVane told one committee in 2016. Frisher continued to weigh in as head of Family Law Reform testifying before several committees that year. “No legislation is perfect. But it’s a far better cry than what we have right now, which is absolutely nothing. Judges right now can create willy-nilly amounts that are unfathomable and unable to be paid,” he said. Rhetoric from both sides reached a fever pitch and that drama Workman previously said Scott warned him of came right to the governor’s doorstep as protests from both sides erupted on the capitol steps and in the halls of Scott’s office as the bill reached his desk. In the end, the bill met another death at the governor’s pen. This time around what caused the governor to veto alimony reform again? Something that had nothing to do with it – the 50/50 child time-sharing mandate attached to the bill during session. With 2016 proving to be firestorm when it came to alimony reform, many assumed the fight would resume in 2017. It didn’t happen that way. The struggles over the years took their toll on some of the leading voices in the movement and many feeling Scott’s repeated vetoes spelled temporary doom for the movement. Another push for alimony reform is coming, but maybe not as soon as many thought heading into last year’s session. By December 2016, rumblings of another push for alimony reform started to begin anew. Frisher announced the end of Family Law Reform as it had been known. Instead, he struck a deal to merge the group with the National Parents Organization giving it more membership. The new partnership set up a branch in Florida which quickly announced its support for a new bill filed in the Senate. The bill, SB 412, filed by Sen. Kathleen Passidomo, R-Naples, would be the first dealing with alimony not filed by Stargel. The bill had no mention of the 50/50 child-time sharing language but it would also emerge that many in the alimony reform movement also felt reform offered by previous bills regarding alimony had been watered down to the point of being gutted. It was a fissure that would prove to be enough to derail SB 412 much to the surprise of Frisher and the Family Law Section Florida Bar, which both had announced support for the new bill. Instead, the bill went nowhere with Committee on Children, Families, and Elder Affairs chair Sen. Rene Garcia, R-Hialeah, on April 5 tabling the bill effectively killing it without an explanation. That same month the mystery as to why the bill failed to move forward became more clear with a new political action committee being formed, the former leader of which would profess what brought lawmakers to pull the plug on the 2017 effort in order to wait out Scott leaving office due to term limits for another legislative push in 2019. The Florida Family Law Political Action Committee quickly became a new force on the scene as alimony reform stalled again in 2017. The group distanced from the leadership of Frisher and in April, the new group announced its CEO to be Terrance Power, a financial planner from Oldsmar who made news years ago as he discussed his divorce with the Tampa Bay Times which had the headline: “The Divorce from Hell, the Battle for Alimony and Emptied Pockets”. Another familiar face in the alimony reform movement from her days with Family Law Reform and the Second Wives Club, Deborah Leff-Kelapire, also came forward as a leader of the group. The group pledged to be an all-volunteer lobbying entity that will be vigorously seeking alimony reform in 2019 using the template of the 2013 bill vetoed by Gov. Scott. The group has already held two statewide meetings in Oldsmar in Pinellas County, and in Boca Raton. During the July Oldsmar meeting, Power explained the reason for the demise of the 2017 bill saying it had been so gutted that many in the alimony reform movement came out against it. “We just took it off the table,” he said. As the group gathers steam, there has already been a major change at the top. Power has since resigned his position, but it may end up being a big positive for the PAC if his reason for leaving works out. In December, Power announced his decision to run for Florida’s House District 64 seat held by Rep. Jamie Grant. While Power seeks office, the alimony reform movement did suffer a big blow this year with the resignation of Sen. Jack Latvala, the once powerful senator from Clearwater, who left office amid sexual and groping claims made by several women and a finding by an investigation that stated he may have broken state law by promising legislative favors for physical contact with women, according to numerous media reports. Before the firestorm, Latvala spoke at the PAC’s July meeting in Oldsmar pledging support for the alimony reform cause and sent a legislative aide to speak at the group’s October Boca meeting. Throughout, the PAC, however, never officially endorsed Latvala. As the political scene has shifted for the group in terms of the governor’s race and Power’s bid for elective office, it remains to be seen what the way forward for alimony reform will be. One thing is for sure, the history of alimony reform in Florida so far has been an incredible display of politics and raw emotion, and is one that is likely to continue on a controversial path. The sponsor of an alimony reform bill some speculated this week is in jeopardy of dying before it even makes a first committee agenda has told Tallahassee media her bill is indeed dead for this legislative session. Floridapolitics.com’s Jim Rosica is reporting that Sen. Kathleen Passidomo, R-Naples, has said “the chair of its first committee of reference has refused to hear the bill.” That would be the Committee on Children, Families, and Elder Affairs chaired by Sen. Rene Garcia, a Republican from Hialeah. We reported this week that the National Parents Organization had circulated a flyer calling on proponents of the bill to urge Garcia to put it on the committee’s agenda, which has not happened. While Passidomo’s Senate Bill 412 is on its death bed as committee work is wrapping up, its companion bill in the House, HB 283, sponsored by Lakeland Republican Rep. Colleen Burton, has also failed to be placed on a committee agenda. It all spells doom for another effort at alimony reform that has failed several times in recent years, twice by veto by Gov. Rick Scott and once by a session shutdown due to a dispute over healthcare. This year’s bill would have provided judges with set guidelines for calculating alimony, while also providing for criteria to deviate from those guidelines under certain circumstances. Scott vetoed a similar bill last year which had a major difference: it contained a 50/50 child time-sharing presumption clause, which the governor cited as his reason for the veto. That was removed from this year’s bill which led to the Family Law Section of the Florida Bar to support this year’s SB 412 and HB 283, according to section member and Tampa Attorney Philip Wartenberg. Wartenberg said he – along with other proponents – successfully made rounds in Tallahassee in February meeting with legislators to tout the bills, and now questions why it appears they will fail to even get a hearing. “This is the bill we had hoped to see passed this year. We are just puzzled like everyone why this isn’t moving forward,” he said. Others are also searching for answers. National Parents Organization of Florida Executive Director Alan Frisher wrote this in an email to Ayo & Iken of his attempts to ask committee chair Sen. Garcia. “I have reached out to him many times with no response,” Frisher said. A national parenting advocacy group lobbying for passage of alimony reform this legislative session is expressing concern that a bill in the Florida Senate is in jeopardy of dying because it has not been placed on the agenda of a key committee. The National Parents Organization has issued a flyer calling on advocates of SB 412 to contact Sen. Rene Garcia, R-Hialeah, who is chair of the Committee on Children, Families, and Elder Affairs. The bill has been referred to the committee but has not been placed on its agenda, leaving advocates worried it could fail to move forward. “If he does not put SB 412 on the committee agenda, the bill dies. It’s that simple,” NPO’s flyer says of Garcia. If SB 412 fails to move through committee, it would be the third time in recent years that an alimony reform bill has been killed – twice by veto by Gov. Rick Scott, and once when the legislature ground to a halt two years ago amid a standoff over healthcare. This year’s alimony reform bill among other things would set calculation guidelines for judges to use in setting alimony, while also establishing criteria for which the courts can use to deviate from those calculation guidelines if deemed needed. One difference between this year’s bill and last year’s is SB 412 does not contain language establishing the presumption of 50/50 child time-sharing, which was the reason Scott cited for his veto in 2016. The legislature is not tackling the 50/50 time-sharing issue this year, but another bill, SB 590, making its way through committee does deal with child visitation issues. The bill proposes establishing a voluntary standard time-sharing plan that parents can sign up for at the time they register to pay for child support with the Florida Department of Revenue, which would allow people to bypass circuit courts. Unlike the alimony reform bill, SB 590 breezed through the Children, Families, and Elder Affairs committee and has been scheduled on the Judiciary Committee agenda March 28. The bill does have its critics, however, with the Florida Bar Family Law Section in opposition. Most of the coverage below is from prior years and is only provided for historical context. A new alimony bill was filed. We will post an analysis of the bill shortly. Check back for details. A renewed effort is gaining steam seeking alimony reform in 2017. Last year an alimony reform bill which also contained language regarding the presumption of 50/50 time-sharing passed the Florida Legislature only to be vetoed by Gov. Rick Scott. Scott vetoed SB 668 in April objecting to a 50/50 time-sharing provision in the bill that would have mandated the courts presume that equal time-sharing between parents is in the best interest of the child. It marked the second time Scott has vetoed an alimony reform bill. He last did so in 2013, citing a clause in that bill which would have made the law retroactive to all cases. While Scott opposed the custody provisions last year, the bulk of the bill dealt with alimony reform which would, among other things, have provided the courts with established calculation guidelines to determine alimony based on duration of a marriage and incomes of both parties. Scott, however, did not address alimony in his veto letter. In 2017, a new lobbying alliance may play a big role in seeking alimony reform. In December, Family Law Reform merged under the umbrella of the National Parents Organization, becoming the Florida chapter of the national group. It means a big membership and funding boost for former Family Law members which already had a significant membership base in lobbying for the bill which made it through the legislature last year. New NPO Florida Affiliate leader Alan Frisher said sponsors in the legislature have been secured to file a new bill which is currently being reviewed. It will be interesting to see what language is in the bill and whether alimony and child time-sharing will be addressed separately by lawmakers next year. We will be watching closely and keep you posted. ** Update: April 15th, 2016 – Governor Scott vetoed the alimony bill ! Alimony reform and proposed changes to child-sharing laws will have to wait another year. Gov. Rick Scott vetoed SB 668 today objecting to a 50/50 time-sharing provision in the bill that would have mandated the courts presume that equal time-sharing between parents is in the best interest of the child. alimony reform which would, among other things, have provided the courts with established calculation guidelines to determine alimony based on duration of a marriage and incomes of both parties. Scott did not address alimony in his veto letter. It is the second time Scott has vetoed an alimony reform bill. He last did in 2013, citing a clause in that bill which would have made the law retroactive to all cases. “The bill makes various changes to the laws governing the dissolution of marriage, spousal support, and time-sharing. First off, I would like to commend Senators Stargel and Lee, and Representatives Burton and Workman for their diligent efforts to reform Florida’s dissolution of marriage and alimony laws. As a husband, father, and grandfather, I understand the importance of family and the sensitivity and passion that comes with the subject of family law. Family law issues are very personal, and nearly every family comes to the court with different circumstances and needs. As such, we must be judicious and carefully consider the long term and real life repercussions on Florida families. This bill’s proposed revisions to Florida’s alimony and child custody laws have evoked passionate reactions from thousands of Floridians because divorce affects families in many different ways. The one constant though is that when a divorce involves a minor child, the needs of the child must come before all others. Current law directs a judge to consider the needs and interests of the children first when determining a parenting plan and time-sharing schedule. Thousands more calls have been made to Gov. Rick Scott in support of an alimony reform bill than those made in opposition, the governor’s communications director reported after a heated day of lobbying of the governor concerning the SB 668 alimony reform bill came to an end. Scott’s office reported that 10,054 calls in support of the bill have come in as opposed to 2,968 made in opposition, according to the Sarasota Herald-Tribune. Scott is still pondering the bill which he has officially received and has until April 19 to sign or veto. If he does nothing, the bill automatically becomes law. The bill would bring about sweeping alimony reform including all-but doing away with permanent alimony and mandating judges use calculation guidelines to determine alimony based on duration of a marriage and the income levels of the parties. It also includes a presumption of equal time-sharing of children in a divorce. ** Update: April 4th, 2016 – Governor Scott now has the bill. The timelines shown below now apply. A correction to the previous update. The proposed bill apparently has not been officially presented to the governor yet. The governor has a certain amount of time to sign or veto the bill after presentation. Alimony reform in Florida is again on the desk of Gov. Rick Scott. If the governor signs a bill passed by the both the House and Senate, permanent alimony will mostly be a thing of the past. The bill would mandate judges use calculation guidelines when deciding alimony based on the length of a marriage and the income of both parties. And if a judge deviates from the formula, it must be explained why in writing. SB 668 also contains child time-sharing language that calls on the courts to presume that 50/50 custody is in the best interest of the child. Alimony and child-sharing reform has brought years of controversy and it remains to be seen whether Scott will sign off on the new bill. In 2013, he vetoed an alimony reform bill opposing a clause making it retroactive to existing alimony awards; a provision which was not included in this year’s bill. A Florida alimony reform bill has passed the Senate in a landmark vote late Friday. SB 668 passed on the floor 24-14 in a vote with the majority of yes votes coming from Republicans. The bill is joined by a sister bill in the House, HB 455, which is scheduled on the special calendar on Monday. The bills – which would take effect Oct. 1 – among other things would set calculation guidelines for judges to set alimony based on the duration of marriages and party incomes. If a judge deviates from the guidelines they would have to explain why in writing. Florida alimony reform is headed to the floor for a vote by the entire Senate. On Tuesday, SB 668 passed the Senate Appropriations Committee in a 13-6 vote, which will send it to the floor on the Special Order Calendar on March 3. As in several other committees the bill passed, the vote mostly went along party lines with 13 Republicans passing it as favorable and five Democrats voting it down. Dorothy Hukill, of Port Orange, was the only Republican to vote no. The bill – sponsored by Lakeland Republican Kelli Stargel – would all but end permanent alimony by mandating judges use specific calculation guidelines such as duration of a marriage and income to determine alimony. In another move, the Appropriations Committee also passed an amendment to SB 668 proposed by Sen. Tom Lee, R-Brandon, to include time-sharing language that provides for the presumption that 50/50 time-child sharing is in the best interest of the child. A similar bill, SB 250, also sponsored by Lee gained approval from the Senate last week. Two sister bills have also made progress through the Florida House. The bills would be effective Oct. 1 if approved by Gov. Rick Scott. We’ll keep you posted. Alimony reform continues to move through the Florida Senate after passing another committee. On Wednesday, SB 668 passed the Senate Appropriations Subcommittee on Criminal and Civil Justice in a 5-2 vote along party lines, with the two senators in dissent being Democrats. The bill – sponsored by Lakeland Republican Sen. Kelli Stargel – would be a sea-change as to how judges award alimony in Florida. It would mandate judges use calculation guidelines to set alimony based on the duration of the marriage and the incomes of the parties. And if they deviate from the guidelines they would need to explain why in writing. If it passes, the bill would be effective Oct. 1. We’ll keep you posted on the bill’s progress. The push for alimony reform in Florida found success in passing another key committee. On Feb. 5, the House Judiciary Committee deemed HB 455 favorable in a resounding 14 to 3 vote. The bill would provide the courts with guidelines in calculating alimony based on the length of a marriage and a person’s income, among other key changes. It will be a busy week concerning family law in the legislature this week as well. A sister bill in the Senate will also get a hearing Feb. 9 by the Judiciary Committee. SB 668 offers virtually the same language as HB 455 and both have an Oct. 1 effective date. Another hearing on Feb. 10 will be of great interest in family law circles. Nearly two weeks after easily passing the Senate Judiciary Committee 7 to 3, SB 250 – which is a child time-sharing bill that would mandate the courts presume that equal time-sharing is in the best interest of the child – will get a first hearing by the Rules Committee. A sister bill in the House, HB 553, is also working its way through the Judiciary Committee and Civil Justice Subcommittee. Both the House and Senate child time-sharing bills would take effect Oct. 1. A big shift has emerged in the controversial push for alimony and child time-sharing reform this legislative session. Many have long wondered why several alimony reform bills over the years have also including language concerning child custody, or time-sharing, with some arguing they are two separate issues. It now appears members of both the House and Senate want to present them as separate issues as well. In both chambers, the legislature will be taking up an alimony reform bill and a separate child time-sharing bill. Going into a Jan. 26 Senate Judiciary Committee hearing on SB 250, sponsored by Brandon Republican Sen. Tom Lee, many in the crowd readied to debate alimony reform and child time-sharing. Instead Lee asked for an amendment striking all of the alimony language in the bill, just leaving the portion dealing with time-sharing, which states in part a presumption in the courts that equal time-sharing is in the best interest of the child. The amendment was granted and the new bill won in a 7-3 vote along party lines, with the three in dissent being Democrats. The move paves the way for SB 250 to be the sister bill of the existing House HB 553 bill dealing with child time-sharing. A sister bill to HB 455 – which is the House version of alimony reform which never included time-sharing language – has been filed in the Senate as SB 668 and been referred to the Judiciary Committee for review. The debate over all four is sure to continue. We’ll keep you posted on any developments. It’s that time of year again when the debate over alimony reform heats up. Once again bills are progressing through both the Florida House and Senate that would set calculation guidelines for judges based on the length of a marriage and a person’s income. In the House, HB 455, sponsored by Lakeland Republican Colleen Burton, has already gotten the green light from the Civil Justice Subcommittee and is now in the House Judiciary, but has not yet been set for a hearing there. Brandon Republican Tom Lee’s SB 250 is set for its first major hearing on Jan. 26 in the Senate Judiciary committee. If last year is any indication, alimony reform is likely to pass in some form as both the House and Senate were poised to pass a bill when the legislative session ground to a halt due to a dispute over of the separate issue of healthcare. If it does pass, then it will get to the desk of Gov. Rick Scott, who vetoed an alimony reform bill in 2013. What remains to be seen is whether a bill that passes will include child time-sharing language. The House bill does not include such language, but the Senate bill includes a presumption of equal time-sharing for both parties being in a child’s best interest. Alimony reform continues to be a contentious issue and anything that passes will be a landmark result for family law in Florida. We’ll keep you posted on what happens. Let the debate begin anew. An alimony reform bill that basically mirrors one that died during the April meltdown between the Florida House and Senate has been filed. Sen. Tom Lee (R-Brandon) filed Senate Bill 250 Sept. 10 setting off another push for alimony reform in Florida. The bill contains similar language to last year’s bill including directing judges to use calculation guidelines for alimony based on the duration of a marriage and parties’ incomes. One interesting part of the bill is it contains child sharing language that has been controversial and may remain a source of debate this coming legislative session. The bill would create “a presumption that approximately equal time-sharing by both parents is in the best interest of the child.” It has been dubbed 50/50 time sharing in the media and some have speculated that the issue would be eliminated from this year’s bill. We’ll keep you informed as the bill makes its way to committee this session. April 30th, 2015 – In a surprise twist the alimony bill appears at a dead end for 2015. The legislative session ends on May 1st and with it any chance of reviving the bill. April 28th, 2015 – The Florida House abruptly adjourned, 3 days early, after a budget dispute over medicaid expansion. This development places many bills in jeopardy, include the alimony bill. Updates to follow. * We are looking for people that want to publicize their stories. Ayo and Iken would like to do a video interview of you and your situation. People that feel strongly about alimony reform, for or against are invited to visit us and be interviewed. You must be willing to travel to our Legal Information Studio located in Pasco County, Fl. We have a large viewership of this website and in particular our alimony reform page. Get your story out! Contact Howard Iken at 800-469-3486 for more details. A Florida alimony reform bill continued to roll through the Senate as another committee gave it a stamp of approval this week in Tallahassee. Senate Bill 1248 got a step closer to Gov. Rick Scott’s desk Tuesday after passing the Appropriations Committee unchanged in a 12-6 vote. A companion bill in the House is set for a hearing on its high-priority special calendar this week. The debate over the bill proved as emotionally charged as ever as various factions made pitches to the committee for or against, while many lawyers and their existing and potential clients are eyeing how it will affect what happens in the courts. Many opposing the bill, some fighting back tears, called it an affront to women who are the majority of alimony recipients. Florida National Organization for Women Barbara DeVane said the bill will particularly affect older women who sacrificed their careers for their husbands to raise children and found themselves in their 50s and 60s divorced with little work experience or time gaps in their resumes. “You are going to throw women and children into poverty with this bill,” DeVane said. Proponents of the bill including Alan Frisher, of the group Family Law Reform, said his organization of 13,000 members want a change and tied his commentary to Gov. Scott’s Let’s Get to the Work campaign he ran on in winning a second term. He criticized the climate current alimony laws create. “If you are a receiver, you don’t want to work in lieu of possibly losing that alimony gravy train, if you are a payer of alimony, you don’t want to work because you’re fearful of being brought back to court now that you are earning more money,” he added. Ironically, Frisher’s commentary irked a senator who supports the bill and the committee chair running the meeting. “You should probably refrain from using the word gravy train when referring to women. I would appreciate it myself,” said Lizbeth Benacquisto, R-Fort Myers. Other supporters on the committee turned to arguing for what the bill might mean for the courts and people going through the difficulty of divorce. The bill’s sponsor, Kelli Stargel, R-Lakeland, said her effort was to reduce litigation in a legal arena that is often the most contentious and drawn out. “What we’re trying to do is limit litigation so it does not continue year after year after year fighting over old wounds in the divorce. We’ve provided certainty in this law so a person has an idea of what to expect. The judge still has judicial discretion,” Stargel said. The most important aspect for Stargel and other supporters are guidelines that will be established by the new bill, which many say will curtail judgments from court to court that are vastly different throughout Florida. The bill uses a specific calculation for determining the amount of alimony by using a low of end of less than 20 years of marriage, and a high end of more than 20 years of marriage. A payor married less than 20 years will pay alimony of .015 X years of marriage X the difference between the monthly gross incomes of the parties. A payor married more than 20 years will pay .020 X the years of marriage X the difference between the monthly gross incomes of the parties. Under the proposed bill, the calculation for determining the length of alimony uses the same low end/high end of 20 years, with the low end being .25 X the years of marriage, and high end at .75 X the years of marriage. Also, the bill mandates that child support and alimony combined cannot amount to more than 55 percent of a payor’s net income. This has some opponents of the bill concerned as the calculations are likely to mean lower alimony amounts across the board. But setting such guidelines is the direction numerous states are headed, according to Brett Turner a senior family law attorney for the National Legal Research Group, a Virginia-based company that specializes in providing legal research for lawyers and law firms. But the guidelines and other provisions in the bill greatly scare alimony recipients who would lose everything without their payments, according to Jan Killilea, who has gained national media attention as a member of the First Wives Advocacy Group. Killilea, of Boca Raton, was a scathing critic of a similar bill that Gov. Scott vetoed in 2013 and remains against this year’s incarnation. Scott vetoed the bill saying he was against a provision that made it retroactive to cover all existing alimony awards. Killilea believes that while on its face the “retroactive clause” has been removed, if the new bill passes old judgments will still be subject to the new bill as it allows for new avenues for modifications. And while the bill only applies to cases already open or filed after the bill’s proposed enactment date of Oct. 1, if a modification to an existing award is approved, the revised award will be subject to the new bill’s parameters. The bill, however, will not be allowed to be the sole criteria for seeking a modification. Under the current law, modifications of alimony judgments are very hard to obtain. The new bill would allow for new avenues to file for a modification such as if either a payor or a payee sees an increase or decrease of at least 10 percent in pay. Killilea sees that as outrageous saying a 10 percent increase for a payee making $9.00, for example, the spike in pay is paltry. Killilea said she is resigned to the fact that the bill will pass the legislature but is still fighting saying the approach of taking a “machete” to the existing law without even an impact study on alimony recipients is unfair. “Gov. Scott is to be credited for vetoing the last bill, and I just hope he doesn’t just blindly sign this one,” she said. The go to headline when it comes to the bill has been that it will put an end to permanent alimony, which has been the standard under the current Florida law for marriages longer than 17 years for some time. But permanent alimony is still possible under the new bill, though it will likely be rare. Judges will still have the discretion to deviate from guidelines under certain extenuating circumstances such as age, health, and income levels of parties. But the bill mandates that judges spell out in writing why they deviated from the guidelines. Turner argues that is the way to go as he believes permanent alimony will mostly be a thing of the past, but the need still exists in some circumstances, especially for older men and women who gave up decades of their lives at the insistence of their former spouse to take care of the household. “I think permanent alimony is extremely fair under those circumstances if there is say 30 or 40 years of marriage. But I also think there are fewer and fewer of those marriages,” Turner said. Some former opponents of bill, such as the Florida Bar Family Law Section, have come to support most of the bill and especially its alimony guidelines. Attorney Tom Sasser represented the section at the Senate committee hearing Tuesday and said while the guidelines will provide ranges for judges to make “reasonable decisions” they will still have the safety valve of being able to address extreme situations of hardship for either party. While some opponents like Killilea say the bill will create a rush on the courts for modifications, advocates of the bill also say with guidelines in place more cases will be settled before litigation as people looking at divorce will have a better idea of where a judge will come down. As debate remains heated, attorneys outside the political fray are already looking at what the bill could mean for their clients. Ayo & Iken attorney Jennifer Schulte said waiting on the outcome of the proposed legislation has been interesting for her and her clients, who fall on both sides of the bill if it passes: some would pay less under the new guidelines, and some clients would not get as big an award, she said. Appropriations Chairman Sen. Tom Lee, R-Brandon, before voting for the bill Tuesday, made this commentary about alimony cases in the state. For the first time “Income” may be defined as “Potential Income.” This would be the amount that could be earned with best efforts. Existing alimony law refers to vague terms such as “earning capacity.” The courts currently use this concept to create a fiction known as “imputed income.” Imputed income is a fictional income that a court may choose to assign to either or both spouses for the purpose of calculating alimony. It is a highly contested concept with very little consistency from court to court. The new term “potential income” appears to represent an effort to clarify and standardize how judges treat unemployed or underemployed parties. Judges will be instructed to consider how much income a party can earn if they devote their best efforts. “Underemployment” is a highly fought over term that indicates a person is purposely not earning their potential income. The new proposed statute defines underemployment as working part time, or taking an educational course that is not expected to increase income, or is not a reasonable fit with that person’s previous training and experience. No exact definition of “Underemployment” in the statutes. This issue is left completely up to the discretion of the judge. The proposed bill has extensive language targeting “underemployment.” Presumably the new language targets former spouses receiving alimony that make no effort to gain employment, or former spouses that take educational programs not likely to result in substantial future income. Readers should note the terms of the bill give guidance to judges but still leave a tremendous amount of discretion in the interpretation of each situation. New proposed alimony law is very specific that all calculations should take into account Potential Income of each party. No mention of Potential Income in old statute. “Potential Income” is repeated throughout the proposed alimony law. The legislative intent of a new law is more clear when a specific term is frequently repeated. The courts are supposed to look at the intent of statutes when making decisions. New proposed guidelines determine the upper and lower end for an alimony award. The upper end is 0.020 X the number of years of marriage X the difference between the monthly gross incomes of the parties. The resulting amounts appear to be significantly lower than current, average alimony awards. No guidelines. The amount of alimony is almost completely up to the judge. Right now you can conduct the same exact case in every county, and before every judge in the state of Florida, and come out with a hundred different outcomes. The entire country has been moving toward specific alimony calculations. This new law does not have a specific table of alimony – but comes closer to giving judges specific guidance. The new law calculates upper and lower figures for alimony. New proposed guidelines determine the upper and lower end for the length of an alimony award. Marriages under 2 years are weighed heavily toward $0 alimony awards. * This provision all but eliminates permanent alimony – in the favor of definite, shorter term awards. No The law is separated into three categories: marriages under 7 years (no alimony), marriages between 7 and 16 years (short term alimony), and marriages over 17 years (permanent alimony). These brackets are guidelines. The judge still has incredible discretion. Permanent alimony would be virtually dead. All other potential lengths of alimony obligations appear to be scaled back in duration. For the first time, the duration of alimony would track a specific formula. New proposed statutes specifically state the standard of living for two households will be lower than a single-married household., and that alimony awards should consider that fact. The goal of alimony is to maintain the marital standard of living. That is an unrealistic goal in the old statute. Alimony attorneys currently point to the marital standard of living enjoyed by both parties during the marriage. One of the goals of current alimony law is to maintain that standard. A frequent complaint was about the impracticality of that standard. The new bill pegs the post-divorce standard of living at a point lower than the marital standard of living. New proposed statutes has language that requires the court to consider whether a party could become better able to support themselves and reduce the need for alimony – by taking education or training opportunities. The old statute has no requirement for a spouse to better themselves over time. Total alimony and child support payment cannot exceed more than 55% of the payor’s net income. It is rare but not unheard of for a payor of alimony to give up 80 to 90% of their income for alimony and child support. The 55% pegged in the new bill parallels a federal consumer law that prohibits creditors from garnishing more than a certain percentage of take home income. Expands and speeds up the circumstances which would allow a modification. If the recipient earns more income than an imputed (approximated income at the time of final judgement), the payor can immediately file for modification. Stringent circumstances to open up a modification case. 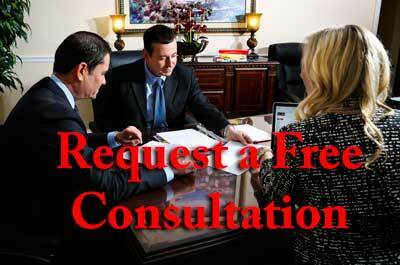 It is currently very difficult to modify alimony. the new law opens up more possibilities for future modification. Under most circumstances the payor of alimony may advance in their career or get pay increases without being subject to an upward modification case. We believe the purpose behind this provision is to allow people to move on with their lives. Allowing a former spouse to constantly monitor the other former spouse’s income for the purpose of upward modification goes against the principle of moving on with your life. Existing cohabitation statute (supportive relationship statute) is difficult to prove. The cohabitation statute was enacted years ago but courts never enforced it as envisioned. Many former spouses continued to play a cat and mouse game with hidden relationships that looked like, and acted like a marriage. The new proposed cohabitation language becomes more definite. New proposal eliminates new spouses from the “fray.” The financial resources a new spouse brings to the situation are not relevant for alimony modifications. Also, the new spouse’s financial information is off limits in a new case. New spouse’s are fair game. New proposal makes it easier to retire and at that time terminate or reduce alimony. The right to retire is inconsistent and varies dramatically from judge to judge. This is additional language allowing former spouses to move on with their life. No longer will new spouses be pulled into an alimony fight. Requires the side that unnecessarily promotes or defends against an alimony modification to pay fees to the other side. This is known in contract law as a “prevailing party” clause. Requires the spouse with more money to pay or offset the cost of attorneys for both sides. This serves as an incentive to act unreasonable. This language requires anyone playing unnecessary games to pay everyone’s attorneys. How Does This New Law Apply to Existing Cases? The changes to how the length of alimony is calculated DOES NOT APPLY to existing judgments or modifications. The changes to how the total amount of alimony is calculated APPLIES to alimony modification cases still pending when the law takes effect,and any new modification cases filed. The new law cannot be the sole reason for reopening an old alimony judgment. There must be other valid reasons – such as substantially changed income, new employment prospects, ill health, retirement, etc. The Senate version of the alimony bill changes the starting point for child custody decisions to a 50/50 custody plan. It remains to be seen if this language survives.